To make any trade successful as well as fruitful, using quality promotional tactics is necessary. To turn your business into a brand and to make it a prime reason for grabbing large client-ship, Branding campaigns is a right call for you. Affirmative branding helps you to obtain maximum leads or sales. It makes your offerings or products known among target customers. Moreover, this process is used to enhance business activities and future endeavors too. To earn maximum clienteles and expanding commercial activities globally, such campaigns play a significant role. Branding is associated with different concise elements or functions. Blue Swami Media helps your business to expand, effectively. 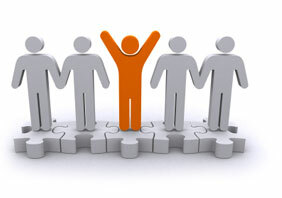 BSM provides outstanding and result-oriented online marketing solutions that enhance your brand value. Our branding campaign comprises with the functions of social media, advertising and digital marketing. We promote your website to leading social media networking sites such as Facebook, Twitter, LinkedIn, Google and much more. To market your services or products we do blog positing and video posting on YouTube and other video sites. Submit content to major social media portals. Maintain ORM or online reputation management in order to improve your business reputation, site performance, determine client’s feedback and developing quality tactics for enhancing your brand name. This is a most dynamic tool for improving branding of any business. We craft PPC management strategies, advertise your services or products online on renowned social channels. Optimize the number of clicks or visits of users and constantly upgrade the strategy for gaining better results. By utilizing unique digital marketing techniques we build strong brand image. In order to make your products or services renowned we practice search engine optimization functions and other elements. It let you achieve top ranks in search engines that surely help in obtaining quality branding. Thus, you will get high ROI, maximum profits and huge client-ship! BSM has been in this industry for long years and fulfilling our commitment to clients. Blue Swami Media is a robust and professional search engine optimization firm. We provide complete IT solutions whether SEO, SMO, Content Writing, Web designing and Development, Link building, Branding or online marketing solutions and various other proficient services. You can have the benefits of our bespoke packages and get the suitable service as per your specific requirements.